Mother's Day, which is celebrated in the United States on the second Sunday in May, is a great time to plan a special day-trip or getaway in the Southeast to give mom a well-deserved break and a little time off to relax. 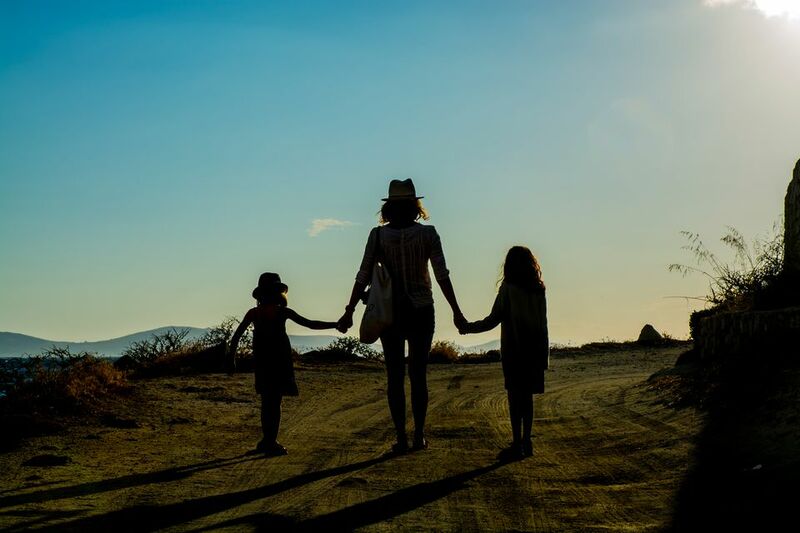 From destination spas to special interest travel, here are fun Mother's Day trip ideas to show your world's best mom how much she is appreciated. Give mom one of the best beach getaways ever. Mothers who love the beach are sure to appreciate a casual and relaxing beach getaway with luxury-level accommodations and services. This list of top rated resort hotels along the Atlantic coast from Virginia to Georgia will help you choose a great award-winning destination along some of East Coast's most striking stretches of oceanfront or tidal waterfront areas. For Moms who deserve some well-earned pampering: Give mom a rejuvenating weekend or day-trip to one of the wonderful destination or resort spas in the Southeast. Many of the spas in the Southeast draw from the region's bountiful and diverse natural resources to create luscious signature treatments and nature-based therapies that are sure to make any mother feel like a Southern belle. Find a Mother's Day weekend festival for a fun family day trip. For something fun for the whole family to do with Mom during Mother's Day weekend, several festivals and events in the Southeast offer good choices for a weekend getaway, day trip or special outing. Spend the day or the weekend in the style of the Vanderbilts at Biltmore Estate during the annual Festival of Flowers or enjoy a Camelot experience at the Georgia Renaissance Festival. Other options include visits to the country, the mountains or the beach, where several family-friendly music, crafts, and arts festivals planned. Every spring, the mountains of the southeastern United States produce some of the most vibrant and diverse woodland wildflower displays in the world. Plan a memorable spring mountain getaway so your mom can enjoy the peak wildflower season at one of these top destinations. If possible, plan your trip during one of the special events that you think she would enjoy for a fun family day together. Sugar and spice for moms who love food and wine...and cooking! While most mothers probably will appreciate a day off from cooking on Mother's day, these cooking classes make wonderful getaways for anyone who enjoys food, wine, and culinary travel. The growing popularity of destination cooking demonstrations and classes has prompted many resorts, restaurants, and shops to create new and exciting culinary adventures for travelers of all ability levels. An array of spring destinations with something for just about everyone! From flower gardens bursting with spring color and tranquil mountain retreats to some of America's top golf courses, beach resorts, and vibrant cities, these ideas for spring getaways and day trips offer several options for spring fun, including some wonderful Mother's Day events, annual spring festivals and more. Special Mother's Day Weekend destinations the whole family can enjoy. Celebrate Mother's Day with a weekend family getaway to one of these top family-friendly resorts. From moderately priced to top-of-the-line luxury, these destination resorts offer an array of Mother's Day weekend activities, including special dining events and activities the whole family can enjoy together. Plan a "historic" getaway for mothers who are history buffs. Show your mother that you are interested in her interests with a special day-trip or weekend visit to explore history. Take her to Colonial Williamsburg, where history is fun for all ages, or spend a day touring some of Savannah's beautiful historic homes or Old Town Alexandria's charming streets. From gracious antebellum homes to rugged historic battlefields, the storied history of the Southeastern United States provides many fascinating choices. Treat Mom to something new with a shopping outing just for her. More than just a place to spend a rainy day during your vacation, many of the outlet centers in the Southeast are among the region's most popular tourist attractions. There are more than 30 outlet malls in the Southeastern United States from which to choose, each offering great discount shopping for designer fashions, home accessories, and more.